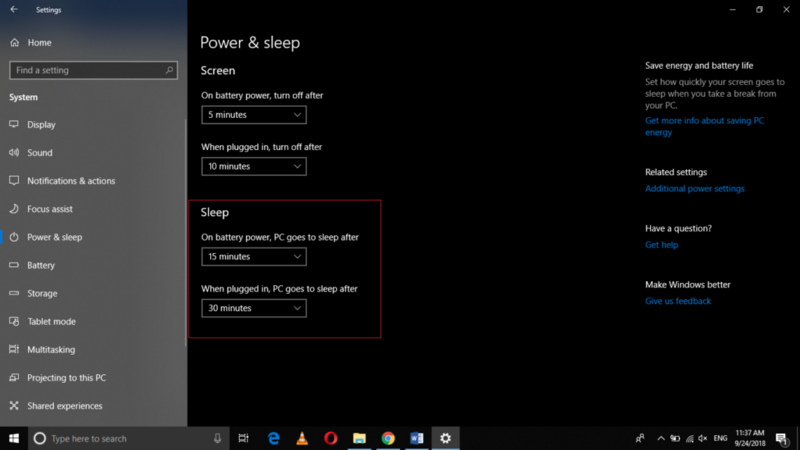 The sleep and hibernation features in Windows 10 let you save your system’s battery whenever you are away from your PC. The sleep option is considered more useful when you want to stay away from your system for just a few minutes whereas the hibernation option is good for staying away for a longer time. Both of these features let you resume your work as soon as your PC restarts but the sleep option is faster than hibernation. 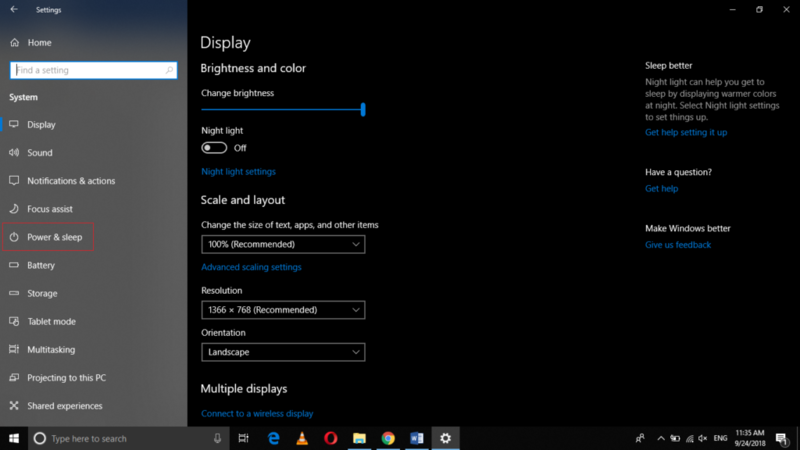 In this article, we will tell you how you can use the sleep and hibernation settings in Windows 10. In the first part of this article, we will tell you how you can access the sleep settings in Windows 10 and in the next part; we will tell you how you can use the hibernation settings in Windows 10. Now click on Power and Sleep. Here you can find the basic sleep settings which tell you the duration after which your PC goes to the sleep mode when it is on battery power and when it is charging. Click on “Choose what the power button does”. Here you can make your PC to sleep when you press the power button or you close the lid of your PC as shown in the image above. You can also make the sleep option to appear in the Power menu by checking the checkbox corresponding to the Sleep field. Now click on Additional power settings. 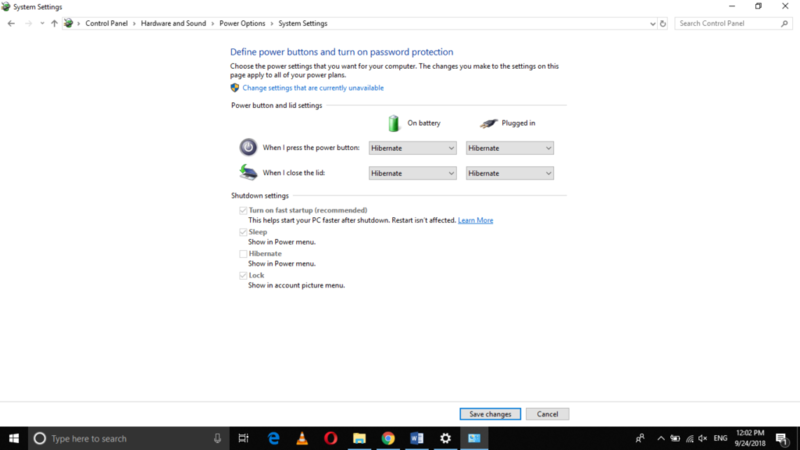 Here you can make your PC to hibernate when you press the power button or close the lid of your PC as shown in the image above. You can also make the hibernate option to appear in the Power menu by checking the checkbox corresponding to the field of Hibernate. 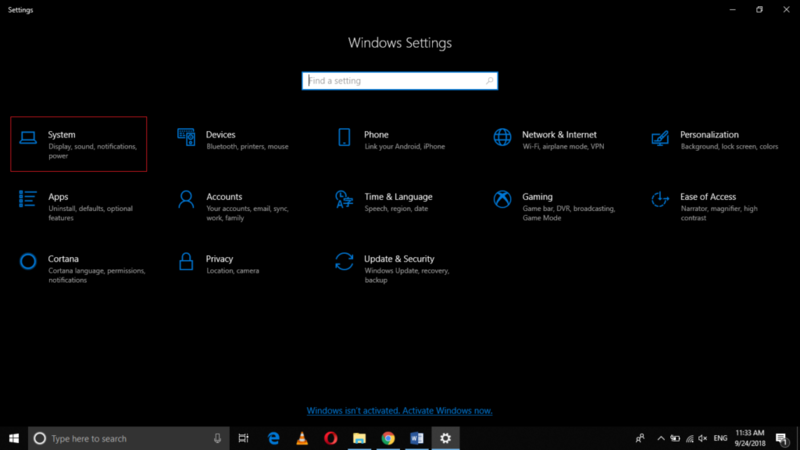 In this way, you can access and modify the sleep and hibernation settings very easily using the Settings application in Windows 10. 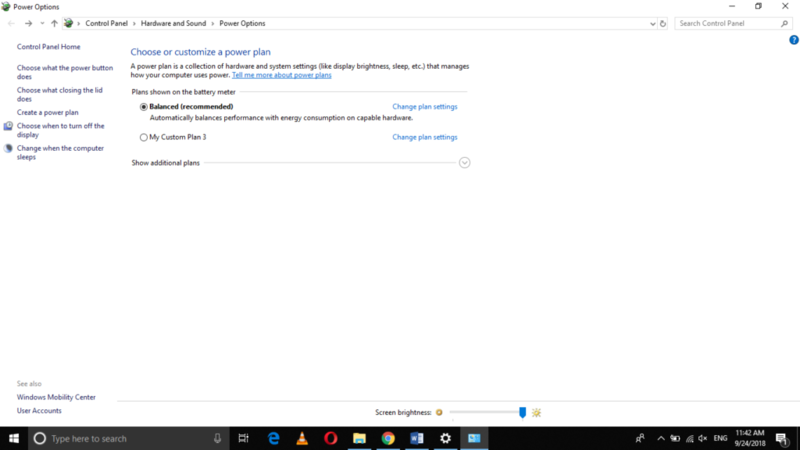 These settings can be changed any time right according to your needs and you can always restore your default settings by following the same procedure mentioned in this article.